Fire Combat’s line of reliable, portable fire suppression systems includes single-, dual-, and triple-agent options. Our fire trailers and firefighting skid units feature durable construction and rugged components for dependable performance in any fire suppression application. These devices are totally independent, self-contained, unmanned fire fighting systems. Our twin agent units combine dry chemical agents and aqueous film for fast and effective fire suppression. These compact firefighting skid units are designed for field placement or truck bed mounting. Custom configurations are available for trailers and OEM applications. These portable fire suppression systems are designed for enclosed spaces. These fire fighting units automatically detect flames and activate their automated CAFS systems. 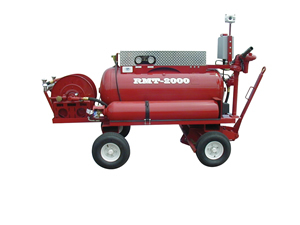 With oscillating spray turrets, our RMT models provide up to 7,800 square feet of reliable, unmanned fire protection. Halotron fire fighting units are an effective and environmentally-acceptable substitute for truck-mounted Halon 1211 systems. A wide range of customizable options allow you to tailor the Halotron to the needs of your specific fire suppression application. Our Defender One trailer-mounted, mobile fire protection systems provide fully self-contained, unmanned fire suppression. These fire trailers boast advanced sensors and controls, along with automated, oscillating discharge turrets. Fire Combat’s compressed air foam systems are totally self-contained for reliable fire suppression in a wide range of applications. Our CAFS firefighting skid units can be installed in the field or truck-mounted, with custom configurations available for trailers and OEM requirements. These dry chemical extinguishing systems are designed for rapid flame knockdown to minimize the spread of fire. We offer these fire fighting units in stationary and mobile configurations, and will size the system to meet your needs, with agent capacity up to 4,000 lbs. 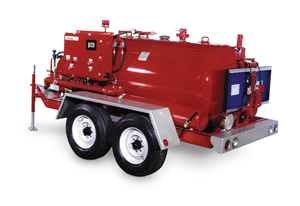 Our foam trailer fire fighting systems are customizable to your application and performance requirements. Tank capacity, discharge device, and other features of these portable fire suppression systems can be tailored to your needs. All our foam trailer systems are built to US DOT CRFR 393 standards. 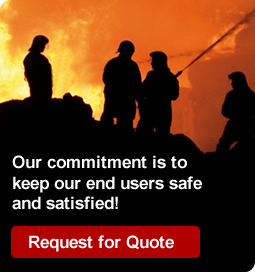 Request a quote on the portable fire protection system you need. Contact Fire Combat to learn more.